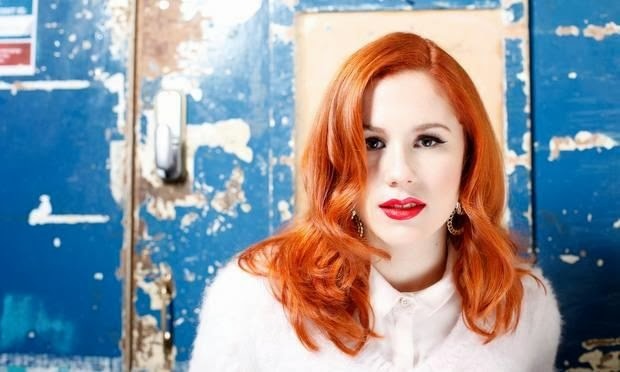 Here, in her old manor, doing the old stuff, is Kathleen Brien, aka Katy B, who returns next month with her second album, Little Red. It's been nearly three years since her debut LP, On a Mission, came out, blending the sounds of rave and dubstep into high-octane pop. Made on a shoestring, it got to No 2 in the album charts, and was nominated for the Mercury prize and the Ivor Novellos. It also put strong female vocalists centre-stage in mainstream dance music again; Jessie Ware and AlunaGeorge have a lot to thank her for. The first single from the album, Crying for No Reason, is out now. It's a big ballad, but there's plenty of remixes out there if like me you prefer some dance beats. As well as a period at BRITS school in Croydon, Katy went to Lyndhurst Primary School in Peckham and Haberdashers Askes in New Cross,going on to do the Popular Music course at Goldsmiths at the same time as James Blake.